We design for all types of interior spaces. 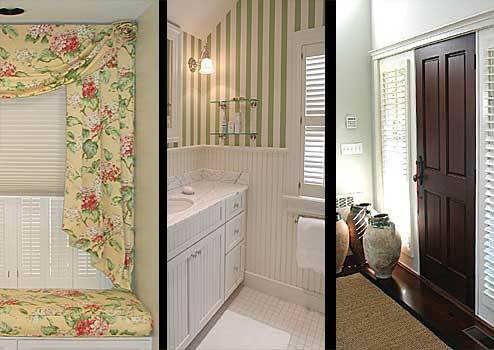 We specialize in window treatments and drapes, with an extensive selection of shades, blinds and shutters. In-house we have the services of a master upholsterer for your upholstery and custom furniture needs and can also create slipcovers, cushions, and pillows. And visit our showroom to select from the latest designer fabrics and wallcoverings.